As businesses transition from being entrepreneurial to being professional, professionalization assumes great significance. However, there are several challenges in terms of the processes and governance mechanisms. The success of professionalization greatly depends on the leader’s clarity of role and structure of the team to whom the business task is delegated and his/her terms of engagement with the team. The authors examine the challenges that professionalization process poses to the leadership, the business and the family. Family businesses have been known to significantly contribute to most major economies all across the world. Yet, the majority of family firms fail to sur vive beyond three generations. Professionalisation of management is one of the decisive factors for family firms’ long-term survival. Professionally managed firms tend to be larger, more productive, grow faster, and have higher survival rates. However, family firms face a number of impediments to professionalization. A key problem is that there is no template of the process of how exactly to professionalize (Stewart & Hitt, 2012). Surprisingly, the extant literature on the professionalization of family firms does not devote adequate attention to the ‘process’ of professionalization. This study was undertaken towards that objective. The key questions for this study were: what processes do family firms follow to professionalize? Why do only some of those approaches work? What are these approaches? The study examines the challenges that professionalization process poses to the leadership, the business and the family. We discuss the forces at play in the process of professionalization and theorize that in this process a zone of managerial ambiguity, that we term ‘No Man’s Land’, is often created between the family business leader and the professional manager. The study discusses the processes and governance mechanisms that family firms need to follow for effective professionalization. Organisations change in complexity in the course of their development. During the initial phase, the control processes and systems are informal and primarily based on trust. As the family fi rm grows, professional managers from outside are hired, resulting in the separation of ownership and operational control. Trust-based systems no longer remain a reliable means of control, hence, the fi rm establishes formal systems and processes. From centralized decision-making and a paternalistic culture, the organization moves towards decentralized decision-making, delegation, formal strategic planning and control mechanisms and a culture of meritocracy (Ward, 2004). This progression of business from the simplicity of entrepreneurial management to the sophistication of professional management is the essence of professionalization. Professionalisation is a challenge for family businesses because it is a major transition for both, the business and the family. For the business, it implies transformation from being a personality-driven organization to a process-driven organization. For the family business leader (FBL), it involves the process of letting-go of managerial control to professional managers, who in most cases are nonfamily professionals. This process is not defined clearly and is often difficult to follow for the incumbent family members. The need to professionalize and inter-firm variations in professionalization have been extensively examined in research. However, the ‘process’ dimension of professionalization has not received adequate scholarly attention (Stewart & Hitt, 2012). This study attempts to plug that gap and examines the ‘processes’ that professionalization comprises. It further probes why some family firms successfully professionalize their operations while others fail. Further, what processes are likely to make the professionalization attempt smooth and effective? 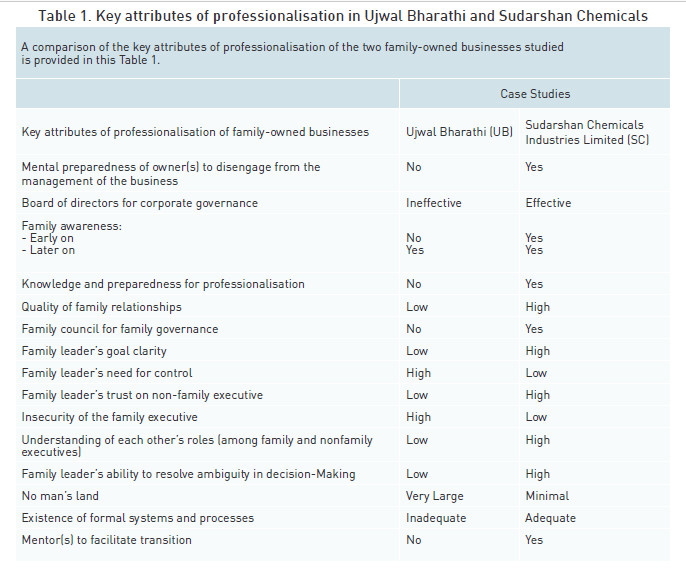 Employing case-study method (Eisenhardt, 1989; Yin, 1994), the researchers examined two medium-sized,1 Indian family businesses, namely, Ujwal Bharathi and Sudarshan Chemicals Industries Limited. These were third generation businesses that operated in the chemical/ pharmaceutical industries. The cases are described in brief in Box A and B. The key attributes of professionalization of these two businesses were compared to examine their common and distinct characteristics (presented in Table 1). Based on the observations of these two case-studies, we present the key findings relevant to family firms. However, family fi rms face a number of impediments to professionalisation. A key problem is that there is no template of process of how exactly to professionalise. Business leaders with a full understanding of the growth strategy they want to follow recognize the need for infusing fresh organizational capabilities, to move into the new orbit of their journey. In both SC and UB, the leaders were clear about the need for change. However, in the case of SC, Rathi had a clear vision about the future and was aptly guided by the consultant to take the business to the next level of professionalized operations. At UB, Srinivas did not have ample clarity about the growth strategy. As a result, the company’s attempt to professionalize was not processed driven or methodical but more of a personality-driven, an ad-hoc approach that could not sustain professionalization. Thus, family business leaders who are clear about the direction and pace of growth are more likely to begin professionalization of their businesses in a systematic way and accomplish their goals. In the case of SC, both the senior and junior Rathis were very clear about the need to prepare the ground for the changes to happen, like family members had to acquire the necessary qualifications to enter the business. In the case of UB, Srinivas did not have any such ideas for a planned change. The mental preparedness for change was also very poor among the professional managers of the company, which became a reason for its failure to sustain professionalization. Hence we infer that the extent of acceptance of changes in the existing organizational structure, systems, and people depends on the mental preparedness of the team for a change. Ujwal Bharathi (UB) was a third generation family business that made pharmaceutical products. Two brothers, Srinivas and Shankar, led the company. Srinivas was the managing director and in-charge of operations, marketing and finance, while Shankar was the head of R&D. Shankar had one daughter, while Srinivas had one daughter and one son, Vishesh. Since daughters were not expected to join the business, Vishesh was expected to succeed his father as the CEO of the company. However, since Vishesh was still young, Srinivas wanted a non-family professional to grow the business and keep the seat warm for his son. Shankar played a limited role and believed in noninterference. The two brothers lacked a shared vision for both the family and the business. Srinivas approached his good friend and a reputed management consultant, Parasuram, for advice when the company’s growth was unsatisfactory. 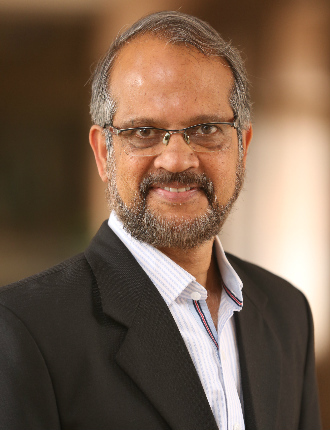 On his recommendation, Srinivas withdrew from routine operations and appointed a nonfamily professional, Jairaj, a senior executive from an MNC, as the new CEO, with the mandate to strengthen UB’s foundations for the next 50-100 years. 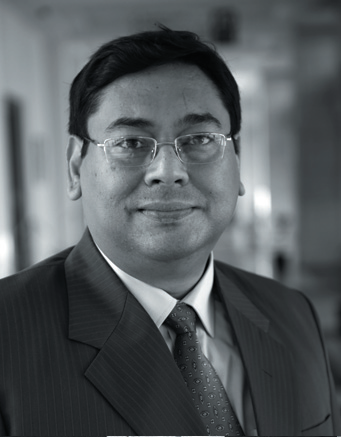 Jairaj was known for his turnaround capabilities and process orientation. UB also appointed three nonfamily professionals on its board. Jairaj initiated new projects and brought about major improvements in terms of systems, processes and operational efficiency. As he got a grip of the situation, Jairaj’s meetings with Srinivas became infrequent. Srinivas experienced a lack of information flow, felt ignored, perceived a loss of control and felt a void in his professional life. He started interfering in daily operations, leading to differences among them. Finally, Jairaj resigned and left. After the exit of Jairaj, Parasuram, expressed his interest to Srinivas to take over as the CEO of the company. Srinivas was delighted to offer the CEO position to Parasuram because he was not only competent but was also well known to the family. Parasuram consulted Srinivas before taking any key decision. He knew he had to pamper Srinivas’s ego, while bringing about organizational transformation. However, soon Srinivas started feeling insecure again as Parasuram was proving to be a better manager than him and Jairaj. Everyone in the company liked Parasuram’s style of functioning, except the executive vice-president (EVP) of finance, an old-time loyalist of Srinivas. Srinivas did not have anyone to consult to overcome the transition blues of role redefinition. Also, his needs for recognition and ego satisfaction were not fulfilled to his expectation. Finally, he started interfering again. Meanwhile, for financing a green field diversification project, Parasuram suggested a dilution of their equity holding. The oldtimers led by the EVP were able to indulge in political maneuvers and influenced Srinivas to suspend the new project idea, and withdraw some of the financial authority delegated to Parasuram in favor of the EVP. At the end, Srinivas was in a dilemma whether to retain Parasuram as the CEO of the company. The UB board and Shankar remained mute spectators during these developments when decisions slowed down. Sudarshan Chemicals Industries Limited (SC) was a third generation family business that manufactured organic and inorganic color pigments. SC was founded in the early 1950s by Dr. R.J Rathi, along with his elder brother L.J Rathi. The first 40 years since its inception, Dr. Rathi was the CEO of SC. Because the business was growing and resources were limited, Dr. Rathi encouraged active involvement of family members, but purely on the basis of merit. All family members involved in business were either chemistry, or chemical engineering graduates from prestigious US universities, with relevant work experience, and most of them also had an MBA. Dr Rathi introduced several rules to inculcate discipline among the family members. For instance, rules on office timings, punch cards for attendance, equitable compensation, and non-use of company funds for personal needs. He believed that as the senior managers of the company, the family members should be role models to other employees. As the business grew, Dr Rathi realized the need for a broad-based board composed primarily of professionally proven independent directors and convinced his family members to bring in external experts on the company’s board. Managerial talent was hired from outside whenever the required expertise was not available internally. Formal structure, systems, processes, and policies were institutionalized. Remuneration of managers was on par with the industry. Several incentives were in place to boost performance. The general management team was involved in every policy decision, which resulted in higher levels of commitment, and quicker and effective implementation of decisions. There was a culture of meritocracy. Managers had a fair degree of autonomy, so they could do their jobs without any interference. To increase efficiency, modern management tools such as Total Quality Management (TQM), ISO- 9001, Six Sigma and SAP were successfully implemented. Following the demise of the two founders, the second generation took over the leadership. At that time, sales growth was stagnant. A well-known strategy consultant was appointed to arrive at a solution. He identified three key challenges: first, size and complexity of the organization; second, risk-averse mindset; and third, lack of a strategic framework for the business. Following this analysis, the top management revisited vision and mission of the company, developed new strategies, shifted to a divisional structure, sponsored management development training programmes, and institutionalized performance management systems. Two out of the three divisions of the company was headed by non-family managers, who were promoted from within. The third generation family members keen to join the business were encouraged to start new entrepreneurial ventures within the core competence of the group. The corporate board was further strengthened with the formation of various subcommittees. They also developed a family constitution, and set up a family council consisting of various subcommittees, to sustain family governance. By the end of year 2010, SC was a global pigment company with sales in over 40 countries and was on its way to become one of the top four global pigment producers. A family business leader is influenced by insecurity, with respect to loss of power and identity. For a smooth transition it is essential that the leader has clarity on the strategy for future. Another aspect is the family business leader’s trust in the successor’s capability and on his/her long-term continuity with the organization. In case of UB, even though Srinivas had handed over business operations to a professional, he was insecure about the successor and felt isolated. While in the case of SC trust related concerns were adequately addressed, not only because a Rathi was always there to take care but also because the leadership adopted a culture of meritocracy and good governance mechanism. The top leadership in SC believed in the capabilities of its people and entrusted the business tasks to the persons who had the right fit. Contrasting the findings from the two cases, we observe that, family business leaders who are better prepared emotionally to ‘let go’ their areas of responsibilities and feel less insecured are likely to professionalise better and smoothly, and the process of professionalisation is catalysed by the level of trust the leader has in the new person, whether from the family or from outside. From centralised decision-making and a paternalistic culture, the organisation moves towards decentralised decision-making, delegation, formal strategic planning and control mechanisms and a culture of meritocracy. The necessary pre-condition for the effective professionalization of a business is the willingness of the owner(s) to ‘let go’ or disengage from the operational control or day to day management of the business, and move on to strategic roles. In case of UB, neither Srinivas nor Jairaj made an effort to address each other’s sensitivities. Srinivas could not separate ownership from management even after entrusting the leadership to a professional. 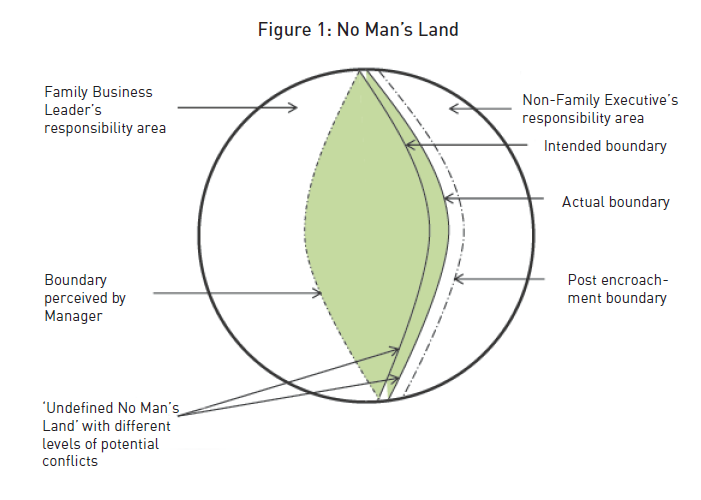 We argue that the contradictory worldviews and priorities of the family business leader and the non-family manager create undefined boundaries in their work relationships, which we call the ‘No Man’s Land’ (NML) (Please see Figure 1). Due to lack of clarity, this zone of managerial ambiguity is prone to frequent encroachment that could potentially create strain in the work relationships between family and nonfamily managers and eventually have a detrimental effect on the team’s performance. NML can be best managed by clearly defining the managerial roles and responsibilities. In the case of SC, the systems and processes that the leadership institutionalized took care that the goals of family and non-family managers were in alignment. One of the key insights we gained from these cases was that managerial domains of family and non-family executives are constantly subjected to a diverse set of forces that influence their decision-making. Based on our observations of the two cases, we found that family executive’s decision-making is influenced by: a) ownership interest and emotional attachment with business; b) family influence and expectations; c) business growth aspirations rooted in family continuity and d) need for control. At the same time, a non-family executive’s decision-making is influenced by: a) career interest and personal ambition; b) professional expertise and c) need to demonstrate competence. If both, the family and non-family executives are aware of each other’s perspectives on the decision-making process, then they can aptly deal with even complex decision situations. Thus, family businesses that are likely to find professionalization smooth are the ones where the leaders involved in professionalization have an understanding to openly discuss and resolve any ambiguity in decision making. This helps them defuse unexploded emotional mines, and the process of professionalization is smoother when the family and non-family executives are appreciative of the similarities and differences in each other’s expectations and assumptions. Business leaders with full understanding of the growth strategy they want to follow recognise the need for infusing fresh organisational capabilities, to move into the new orbit of their journey. Due to lack of clarity, this zone of managerial ambiguity is prone to frequent encroachment that could potentially create strain in the work relationships between family and non-family managers and eventually have a detrimental effect on the team’s performance. As the organization undergoes changes effected by professionalization, there is a need to hold the business and family subsystems together on a dynamic basis. This requires a set of support mechanisms to facilitate the smooth process of professionalization by absorbing the friction generated at the overlaps of the subsystems. A pool of mentors can become a part of such a support system (Kram & Hall, 1989). They help by providing guidance to family and non-family executives. SC had realized the potential contribution of a strong board of directors in guiding the company on its growth journey, hence its leadership decided to infuse independent professionals on the board. While UB also followed the copybook approach to growth, they did not follow the process very well. For instance, once he became the CEO, Parasuram did not feel the need to advise Srinivas and help him overcome the challenges of transition. Thus, we observe that, family businesses with one or more good quality advisors to support them through the transition period are likely to go through a smooth transition to professionalization. SC had very clear principles and policies about the nature and extent of involvement of the family in business matters. The SC leadership was conscious that family governance was integral part in the process of professionalization of the family business and that the quality of family relationship was the key to sustaining success. Again, we fi nd UB at the other end with no clear governance principles and policies. The relationship between the owner brothers was cold. Above all, there was no road map for the nature and extent of any unified family involvement in the business. Therefore we discern that family businesses with clear governance policies and processes are likely to find the journey of professionalization smoother. The role of boards in governance has been well documented in the family business literature (Corbetta & Salvato, 2004). However, there are other supporting structures around the family (such as the Family boards or councils) and the business (such as the business decision systems, business processes and regulatory framework) that influence governance and thereby the professionalization process (see Figure 2). For instance, in the case of SC, there was strong support of a family mentor, i.e. Dr. Rathi, who always showed the path the family should take as the business evolves. On the business side, the company had an independent board, clearly defined business decision systems and well-documented business processes. These governance support structures on the business side brought clarity of action to business managers. Therefore, the transition to professionalization was quite smooth. However, in the case of UB, positive influences of such supportive structures for family and business governance were not there, because of which, the professionalization attempt was not successful and could not be sustained. Thus we deduce that, family businesses with strong structural influences on family and business governance are likely to have a smoother transition towards professionalization. Clearly, define roles and responsibilities of family and non-family managers to help reduce the managerial ambiguity between their respective spans of control. List, document, and adhere to all business processes. Bring on board the family’s elders, external advisors, independent directors or existing senior employee(s) as mentors and advisors to resolve conflicts and bring clarity in processes, rights, roles and duties of family and non-family managers. Establish and invoke active support of structural influences like family council/board and business decision systems/processes to help both the family and the management to transcend smoothly to the new improved level of a professionalised work environment. The success of professionalization greatly depends on the leader’s clarity of role and structure of the team to whom the business task is delegated and his/her terms of engagement with the team. Emotional preparedness and trust are important elements that contribute to this success. However, the most crucial learning for family firms is that when professionalization efforts are limited to personality driven changes, they fail to get institutionalized and do not last long. On the other hand, when these processes are well defined, documented, clearly communicated and followed with discipline and spirit, they gain wider acceptance and become an integral part of the organization. Changes driven by these institutionalized processes lead to a smooth and sustained transition of a family firm into a truly professionalized organization. Corbetta G. & Salvato, C. A. 2004. The Board of Directors of Family Firms: One Size Fits All? Family Business Review, vol. 17, no. 2. Pg. 119-134. Kram, K. & Hall, D. 1989. Mentoring as an antidote to stress during trauma. Human Resource Management, 28(4): 493-510. Stewart, A., & Hitt, M. A. 2012. Why can’t a family business be more like a nonfamily business? Modes of professionalization in family firms. Family Business Review, 25(1), 58-86. Yin, R. K. 1994. Case study research: Design and methods (2nd ed.). Beverly Hills, CA: Sage Publishing.